A boy in the midst of a mixed-race family, a mixed-race community in Houston tells tales of neighbors and friends and families, of his brother and sister, his father and mother, of infidelity and baseball and drugs and death and love in his neighborhood and in his family’s restaurant. The chorus of community interferes and supports, gossips and judges in a coming-of-age story that is harsh in terms of reality, as harrowing as it is touching, vibrantly told and brilliantly original. Bryan Washington has written for The New Yorker, The New York Times, the New York Times Magazine, BuzzFeed, Vulture, The Paris Review, Tin House, One Story, Bon Appétit, MUNCHIES, American Short Fiction, GQ, FADER, The Awl, and Catapult. He lives in Houston. "The kind of stories I am always longing to read. I love the urgency, honesty, and vitality of Washington’s voice. I love these characters for where they’re from, and where they’re going, what they know, and what they reveal about trouble and love." "A brilliant display of raw talent, with gut-punching stories that deliver with a lasting force. This is the literature that I've been waiting for." "Lot is the confession of a neighborhood, channeled through a literary prodigy. Bryan Washington doesn't render a world, he actually captures one, grabs it out of reality and holds it up for you to see it sparkle. Unflinching, romantic while refusing to romanticize, this is the debut of a prodigious talent." "Bryan Washington's voice has risen blazingly from Houston and now commands us to pay attention. Lot is as raw, soulful and moving as a story collection can get. It’s my favorite fiction debut of the year." 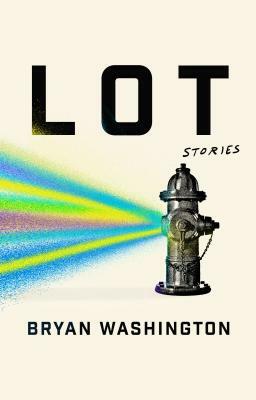 "Bryan Washington gets Houston down on the page in a way I haven't seen before; the city, in his hands, is revealed in all its strange and righteous glory, a fresh sense of youth that's a pleasure to read. Bryan is a thrilling new voice in American fiction and one to watch."